Out of all our dessert teas, this coconut almond tea might be our favorite. 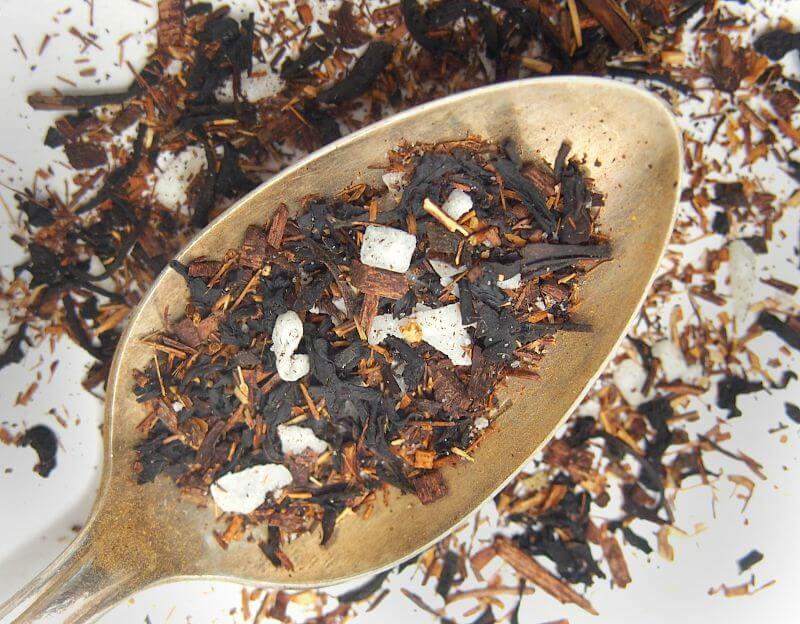 Real bits of coconut and hints of almond add a fresh, invigorating flavor to the perfect blend of rich black tea and earthy honeybush. Add a splash of cream and/or a pinch of sugar and it might be even better than the real thing (that said, we do love this tea with a cookie or tea biscuit of some kind). Coconut Macaron is just as the name indicates. 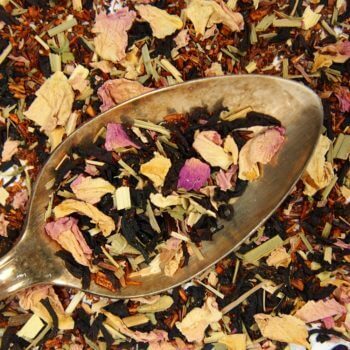 This is a nice, sweet blend that makes a perfect dessert tea. No need to add any sweetener or creamer. It is perfect as is. 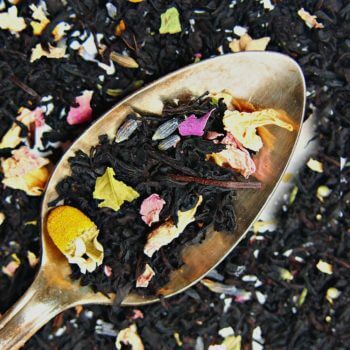 What I love about PD teas is that they use real ingredients, so there is none of that sweet, cloying artificial flavor that a lot of flavored teas have. 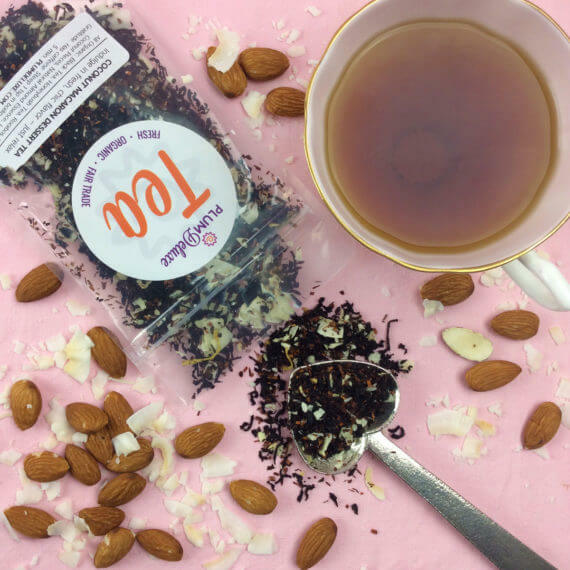 This tea has a nutty coconut taste that isn't too sweet. A lovely, rich dessert tea that's good hot or iced. I tried this tea as part of the Advent Calendar. I do like macaroons, but coconut-flavored teas are usually hit or miss for me. Well, this one was a hit! It wasn't too coconutty, had just enough that it paired nicely with the almond for a tea that tasted like I was drinking a cookie. Delicious! 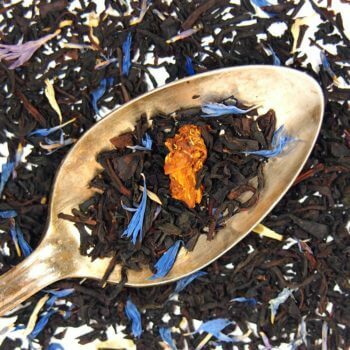 Ingredients: Black Tea, Honeybush Tea, Rooibos Tea, Coconut Pieces, Natural Almond Essence, Love, Gratitude. Low Caffeine. Preparation Instructions: Use 1 tsp per 8oz water. Steep with boiling water for 3-5 minutes. Suggested Uses: Great with a splash of coconut or almond milk and a bit of rock sugar. This tea is a terrific alternative to cookies... though we won't tell if you have a few with your cuppa.